Winter is here, which means that it is time to lock up those vacation homes! If you have a secondary home that sits vacant for any length of time (even if you rent it out during the cooler months), be sure to take the appropriate precautions in securing your home. Of course, always lock your doors and windows before leaving. 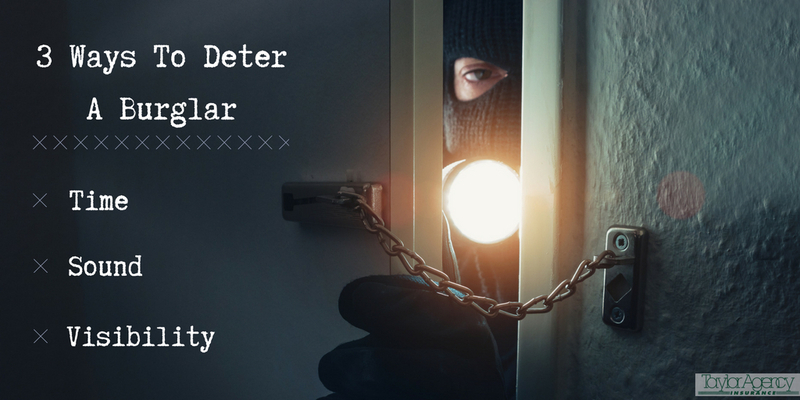 Beyond the basic precautions, here are 3 more ways to help deter a burglar: time, sound, and visibility. 1.) Make friends with your neighbors. Ask a neighbor to keep an eye on your home or even just check the mail every couple of days. The less time your home appears to be unattended, the less likely a thief will attempt to break in. You can also purchase light timers in which you are able to program your lights to turn on and off automatically. Again, this will make it appear as if someone is home. 2.) Make sure your alarm system is LOUD! Loud sounds will wake neighbors and draw attention to your home. Make sure you know what kind of alarm you have — local or central. A local alarm only alarms those within the home. A central alarm is monitored by a company and will report any activation from the alarm to the police department. Occasionally, certain types of alarm systems will provide a discount with your insurance. Speak to your insurance agent about any possible credits for having a certain type of alarm system. 3.) Keep bushes trimmed to prevent good hiding spots. Install outside security lights that have motion sensors. The less visibility your home and yard offer, the less likely a burglar will attempt to break in. As an added layer of protection, call Taylor Agency today to find out what kind of theft coverage is available to you! Cooler weather and change in leaf color remind us that Fall season has arrived with anticipation of the upcoming holidays. As you take time to be thankful this Thanksgiving holiday, also take some time to think about safety in the kitchen while preparing that Thanksgiving meal. According to the National Fire Institute Reporting System (NFIRS), the average number of residential building fires reported from 2014 -2016 on Thanksgiving Day was doubled that than other days of those years. Nearly half of those fires on Thanksgiving Day occurred from 10 AM – 4 PM as opposed to when residential building fires typically occurring between 5 – 8 PM. This time difference in fires most likely reflects the period of time during meal preparation along with extended cooking periods on Thanksgiving Day. More than 70% of the fires on Thanksgiving Day were related to cooking versus 50% of the fires being related to cooking at other times of the year. Stay in the kitchen when cooking to keep a close eye on the food, especially when frying and sautéing with oil. Use a timer to keep track of cooking times, most notably when cooking a meal that takes a long time like roasting a turkey, baking a roast or simmering. Check the stove or oven frequently. Consider putting timers in different rooms so that you can hear them over music, football games, and party chatter. Stay alert and focused when cooking. To help minimize the risk of injury, avoid cooking when drinking alcohol or if you’re sleepy. Keep things that can catch fire like oven mitts, wooden utensils, food wrappers and towels away from the cooking area. Kids should stay 3 feet away from stovetops, as well as from hot food and liquids. The steam or splash from vegetables, or gravy could cause serious burns. Frying turkeys at Thanksgiving has become more popular in recent years. However, NFPA discourages the use of turkey fryers, as they can lead to devastating burns, other injuries, and the destruction of property due to the extensive amount of hot oil used with fryers. NFPA urges those who prefer fried turkey to look instead for grocery stores, specialty food retailers and restaurants that sell deep fried turkeys. Additional tips and resources can be found on NFPA’s Thanksgiving webpage. General cooking safety information including safety tip sheets, infographics, videos and more can be found on NFPA’s Cooking Fire Safety Central webpage. The “Home Fires Involving Cooking Equipment” report also provides home fire cooking statistics for other holidays such as Christmas, Christmas Eve, and the New Year. For this release and other announcements about NFPA initiatives, research and resource, please visit the NFPA press room. Summer is coming to a close, which means that it is time to lock up those vacation homes! If you have a secondary home that sits vacant for any length of time (even if you rent it out during the cooler months), be sure to take the appropriate precautions in securing your home. Of course, always lock your doors and windows before leaving. These tips are also useful for your primary residence.Beyond the basic precautions, here are 3 more ways to help deter a burglar: time, sound, and visibility. Make friends with your neighbors. Ask a neighbor to keep an eye on your home or even just check the mail every couple of days. The less time your home appears to be unattended, the less likely a thief will attempt to break in. You can also purchase light timers in which you are able to program your lights to turn on and off automatically. Again, this will make it appear as if someone is home. Make sure your alarm system is LOUD! Loud sounds will wake neighbors and draw attention to your home. Make sure you know what kind of alarm you have — local or central. A local alarm only alarms those within the home. A central alarm is monitored by a company and will report any activation from the alarm to the police department. Occasionally, certain types of alarm systems will provide a discount with your insurance. Speak to your insurance agent about any possible credits for having a certain type of alarm system. Keep bushes trimmed to prevent good hiding spots. Install outside security lights that have motion sensors. The less visibility your home and yard offer, the less likely a burglar will attempt to break in. Call your agent! Every homeowner’s policy is different because no two homes are alike. Different policies include different coverages. It is best to call your agent to make sure what is covered and what is not. Know that Wind and Hail coverage and Hurricane coverage are similar, but have their differences. Wind and Hail coverage will cover any type of storm with wind or hail. Hurricane coverage will only provide coverage for named storms or hurricanes. They also have different deductibles. Taylor Agency will automatically include wind and hail or hurricane coverage in your policy. Don’t forget a flood policy! Hurricanes and named storms can bring heavy rains and flooding. Just last year, Hurricane Harvey hit the United States causing $125 billion in damage (National Hurricane Center) coming only second to Hurricane Katrina in costs. Flood policies are not included but must be added if you want protection. The standard FEMA flood policy requires a 30 day waiting period. Unfortunately, a flood policy cannot be bound if a named storm or hurricane has developed before or during the 30-day waiting period. Even if you are not in a flood zone, keep in mind that if it can rain, then it can flood. Talk about deductibles! 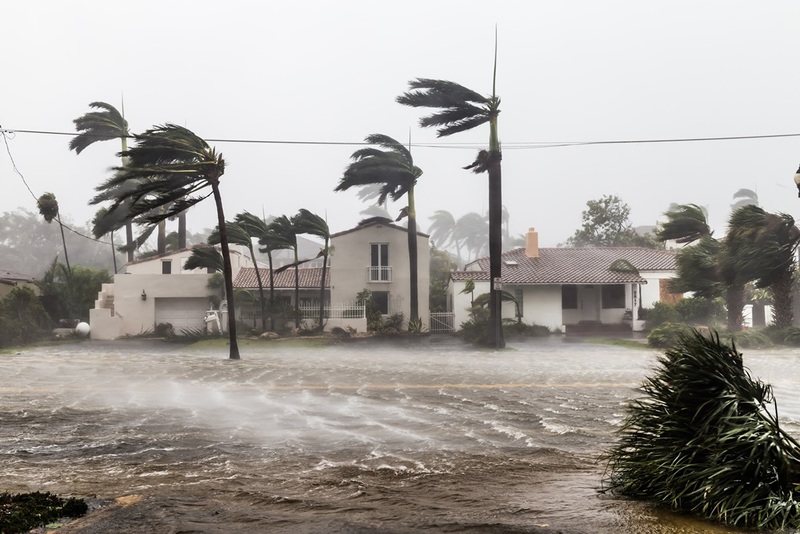 Prior to a named storm or hurricane making landfall, be sure to find out what kind of deductibles your policies have. Depending on the extent of the damage, it may end up being less expensive to make the repairs yourself rather than paying the deductible. In the event that you have damage, talk to your agent to see what the best plan of action is for you and your family. The first day of summer, June 21, is swiftly approaching. The pool begins to beckon and the grills get fired up. With the weather promoting these activities, we decided to share some tips and guidelines to help you play safely! Establish safety rules! Everyone sees the rules posted at a public pool. Why wouldn’t you post safety rules at home? Educate yourself on swim safety. Learning rescue skills and CPR can be the difference between life and death someday. Installing a fence can help prevent unwanted pool guests or deter moseying toddlers from entering the pool unsupervised. Account for the weather. Just because the pool water is cool doesn’t always mean that it is safe to be outside. Stay hydrated and monitor the temperature when swimming. Don’t stay in the heat for too long to avoid heat stress. Fire is responsible for some of the most severe damages to homes and other structures according to the Insurance Information Institute. In particular, grill fires are responsible for millions of dollars in damages, about 100 injuries, and around 10 deaths annually. Nearly 60% of grill fires occur during the summer months of May, June, July, and August with the leading cause being mechanical failure or malfunction. (U.S. Fire Administration). Maintain your grill! Checking for leaks, blockages, or other broken elements can help prevent malfunctioning equipment. While using your grill, keeping it on a level surface and not moving it can help prevent the grill from tipping over and causing a fire. Be sure that you have the proper tools on you or nearby. Wearing protective gear like mittens and an apron can help prevent burns while keeping a fire extinguisher nearby can assist in putting out an unwanted fire. When you have finished with your grill, make sure that it has completely cooled before storing it away. See your specific grill instructions for proper storage. As always, speak to your insurance agent about the coverage you have concerning pools and grills. After you have established safety measures and protective plans, enjoy your summer! Owning a home brings lots of different joys and challenges. You can paint the walls the color that you want, but you also have to fix the stove when it breaks down. There are all kinds of things to figure out, but one important aspect to never leave unattended is your homeowner’s insurance. Each home is unique in its insurance needs and every homeowner’s policy is different. 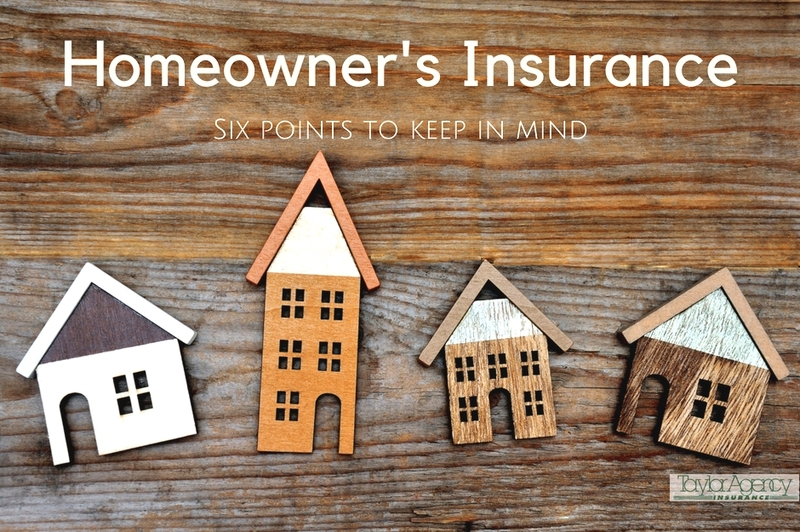 Talking to your agent about the specifics is the best way to find out more about your policy, but we’ve rounded up a few key points that can help you determine if you need more coverage. Hurricane Season is upon us. With hurricane season quickly approaching, the time to check what kind of coverage you have is now! Once a storm is on its way it is too late to make any changes to your policy. Checking to see what kind of deductible you have on your policy is a good place to start. To be absolutely sure, it is best to call your agent to verify information and get any questions answered. Being proactive is the best way to protect your biggest asset: your home. 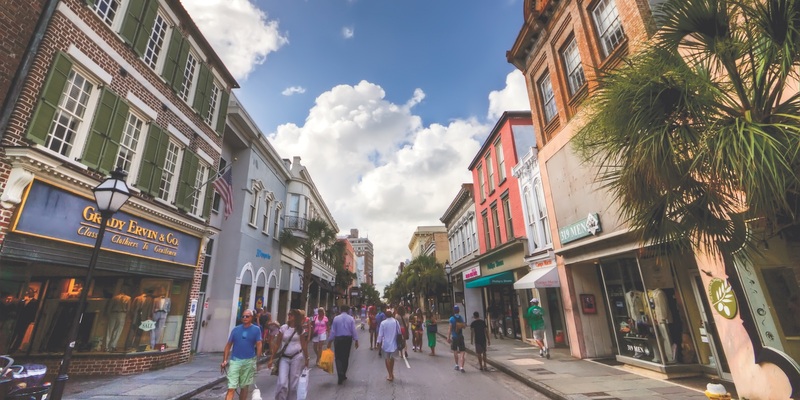 According to seismologist Steve Jaume of College of Charleston, Charleston is the bulls-eye for earthquakes on the East Coast. Since earthquakes cannot be predicted, the only thing you can do is to be prepared for one. Earthquake coverage is not included in a typical homeowners policy, but it can be added in order to protect your home. Many carriers offer earthquake policies that you can add to your homeowner’s policy. By calling your agent, you can find out your options to best protect your home in the event of an earthquake! Losing the contents in your home after a peril (i.e. fire, named storm, theft, etc.) can be heartbreaking. We always recommend taking video, pictures, or writing down an inventory of the items in your home. While this is not a requirement for insurance, it will assist you in recouping your lost items. Save this information to a disc or flash drive. Then, give it to a family member, or save it at work. The little things are not missed until they are not there. Do what you can to take note of the things you enjoy in your home now before it is too late. Do you love to collect antiques? Did your grandmother leave you a family heirloom? Does your husband love buying you beautiful jewelry? Coverage for high valued items can be limited in a homeowner’s policy. The best way to protect these precious items is to schedule them separately on your home policy or on a separate policy. Call us to make sure you have coverage for these items that not only hold a high value but also mean so much to you. Dog bites are one of the highest claims for homeowners. If your current policy does not already include it, contact your agent to find out about adding dog or animal liability to your policy. It is inexpensive and worth having, if you have a furry friend in the family. Be sure to contact your agent if you are making any improvements to your home. Improvements or additions to a home can affect rates and coverage. Home improvements can range from replacing plumbing or wiring, adding a pool or bedroom, or getting a new HVAC system. In any case, give your agent a call the next time you are ready to make any major updates to your home. For office closings, directions, and more, click on a location in the map. Hurricane Updates & Our Newsletter! 1) Receive hurricane updates to help you prepare and recover from immediately imminent hurricanes affecting South Carolina’s coastline. 2) Receive news & relevant content to help your family or businesses prevent potential losses.